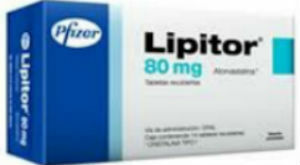 Lipitor, a drug manufactured by the pharmaceutical company Pfizer. It holds the status as the world’s top-selling prescription drug of all time. However, it has some problems. Pfizer markets Lipitor as a means to lower cholesterol and reduce risk of heart attack and stroke. Recently, some studies have linked the drug to serious side effects like type 2 diabetes. If you or someone you know has taken Lipitor in hopes of supporting a healthy lifestyle but has developed Type 2 diabetes, contact us for a free evaluation to see if you are entitled to compensation. Time may be running out so it is important to contact us today.